View More In Building Sets. Send your child on an exciting building adventure with these playful transportation vehicles! With 229 Kid K'NEX pieces, including 20 wheels, 10 'super sized' wheels and 6 truck wheels, your child can build many vehicles at a time. Build nine models simultaneously with the six two-sided, full color building cards, and build an additional four bonus models as well. Or create your own design - this set sparks creativity for children to create their own models too! This set supports 8-10 children working simultaneously. Set comes packed in a large storage bin with convenient snap-on lid. 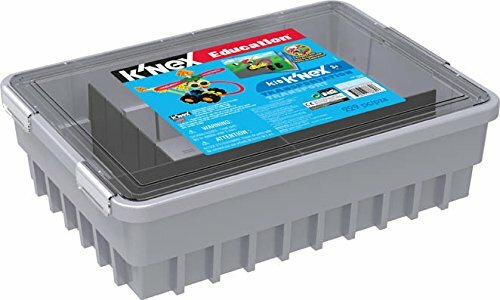 If you have any questions about this product by K'NEX Education, contact us by completing and submitting the form below. If you are looking for a specif part number, please include it with your message.